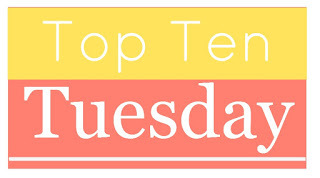 The topic today for top Ten Tuesday at Broke and Bookish is Heroines. I decided to narrow that down and discuss 10 women from my favorite series of all time, Discworld. Cheery is a dwarf. She’s a female one to be precise about it but polite dwarves don’t talk about that. She decided that she wants to be open about being female and starts wearing a skirt and using pronouns like him and her. She causes quite an uproar in dwarf society with her outlandish ways. She runs the Golem Trust making sure that Golems aren’t being abused by heartless masters. She’s tough and smokes like a chimney. Angua is a werewolf and a woman on the police force. The bad guys think that the cops are using a wolf but no one suspects it is her. She gets sent in when things need to end quickly. She starts out a gentlewoman dragon breeder who marries Commander Vimes of the City Watch and civilizes him against his will. She’s tough and big and loving and makes him be the best version of himself whether he wants to or not. She disguises herself as a boy to join the army. She wants to rescue her brother and get away from the life women are required to lead. She fins out that she’s better at soldiering than at hiding who she is. The Keldas are the leaders of the Nac Mac Feegle, a type of fairy folk. They are the only females in groups of hundreds of men. They do the thinking. They can magically connect with the memories of all the previous Keldas and the Keldas yet to come. They also enjoy the occasional sip of Special Sheep Liniment, which is way too dangerous to give to actual sheep. She is a young witch who specializes in pig medicine. The other young witches make fun of her until they realize how much she is valued by others in a rural community that relies on pigs. 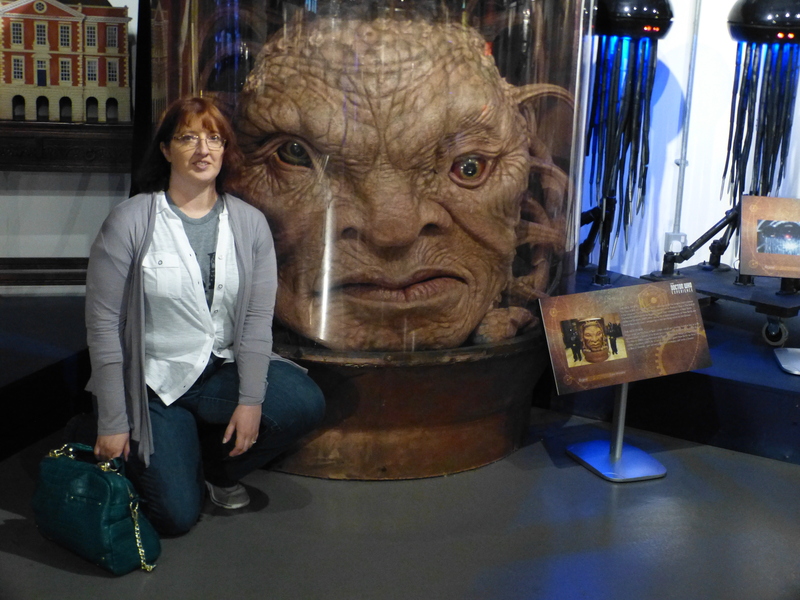 She’s the closest the Discworld has to a vet so I have to cheer for her. She’s a young witch who was mostly self taught until she attracted the attention of some very senior witches. She has the help/burden of the Nac Mac Feegle. She’s saved the world a few times too. She’s a powerful witch who is the matriarch of a vast clan of Oggs. She torments her daughters-in-law. She loves her cat who everyone else thinks is an evil creature. She’ll drink you under table while singing bawdy songs like, “The Wizard’s Staff has a Knob at the End” and “The Hedgehog Song” which is so filthy that it can’t be written down. She even has her own stamp. She’s such a powerful witch that she doesn’t even need to do much magic anymore. Just her glare makes people do what she wants. She doesn’t hold with nonsense. The only things that scares her is knowing that she could take over the world so she tries extra hard to stay sort-of good. Besides, her soul can hitch rides on animals and that’s really cool. I want to be her when I grow up. Bonus – An extra shout out to the Mother Goddess who isn’t an actual character but is the topic of one of my favorite quotes ever. Susan, Magrat & Esk totally deserve a place… but I know it’s only a top 10 😂 All if his characters are inspirational I think! If this is supposed to be in some sort of order I highly contest it. Granny should, by far, be number one. I actually think she became an extension of Pratchett himself toward the end. Irascible, cunning, haver of third thoughts and one who knows all (creator of the Discworld) but who reveals nothing. Good list. Granny Weatherwax is always number 1. I want to be her when I grow up. Did you see this post on Facebook? It has gotten hundreds of hits in the last few days from there. Can you tell me where it was posted? I’m curious. Susan!!! How can you not include Susan Sto Helit in this list??? Granny Weatherwax is probably the most badass woman on Discworld, but Susan is definitely the second. SUCH a great list. I’ve been oh-so-slowly collecting every existing Pratchett book. I got his “Slip of the Keyboard” and “Nanny Ogg’s Cookbook” for Christmas! Granny Weatherwax is my hero. I haven’t read a lot of the accessory books to the Discworld series yet but I plan on it. Once you start reading Terry Pratchett novels you can’t stop. These must be awesome heroines (I love a good heroine). I haven’t read any these so lots of great women to meet… but what about dear old pippi longstocking? An all time fave for me. Oh, I never heard of this series, but it seems like it has some pretty awesome female characters! I think I’m adding this to my list of future reads. Great list! I haven’t read all of the DiscWorld books, but I’ve met many of the characters you include here! Fantastic list! I’m ashamed to say I haven’t read much Pratchett, but you’ve made me want to read more!